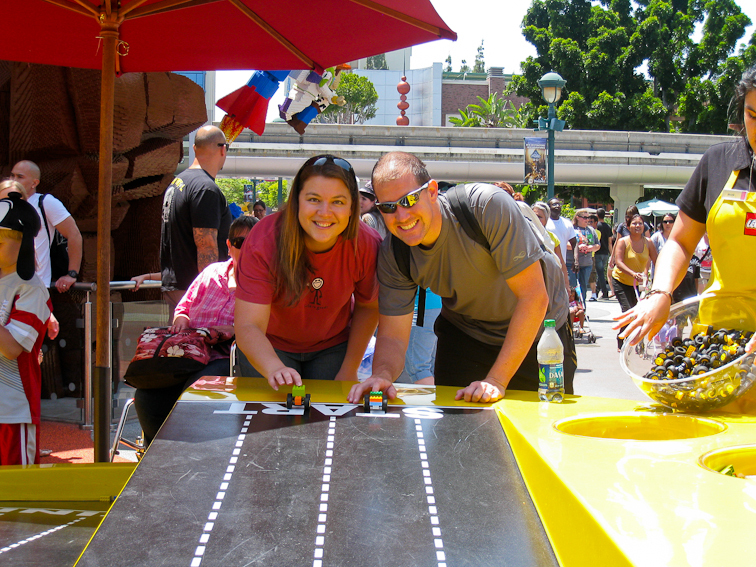 Wow, it's been months now since we've gone to Disneyland. I think the last time we were here was in February. That's way too long to between visits, so we had to correct that. 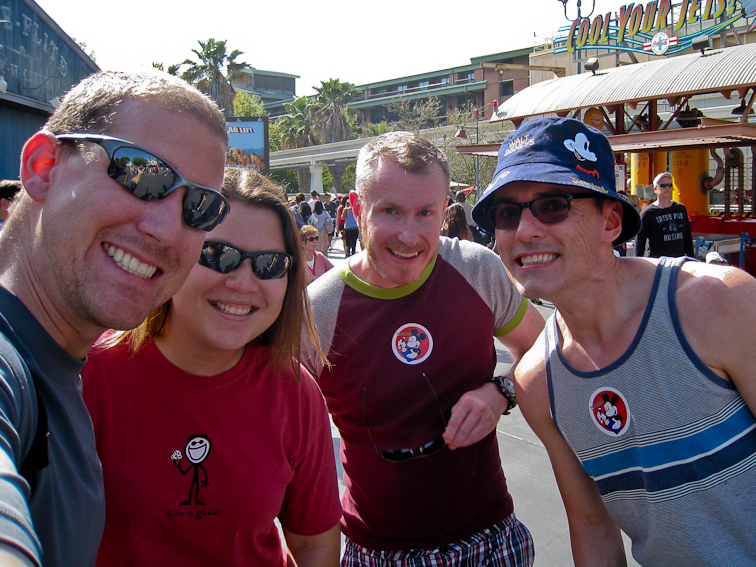 Our first stop was at Downtown Disney. 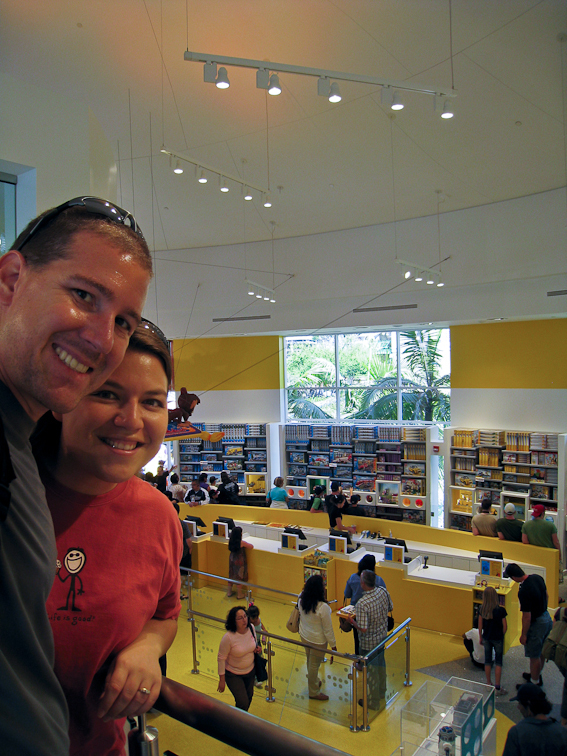 The Lego store here has been in renovation since January, so we had to check it out. 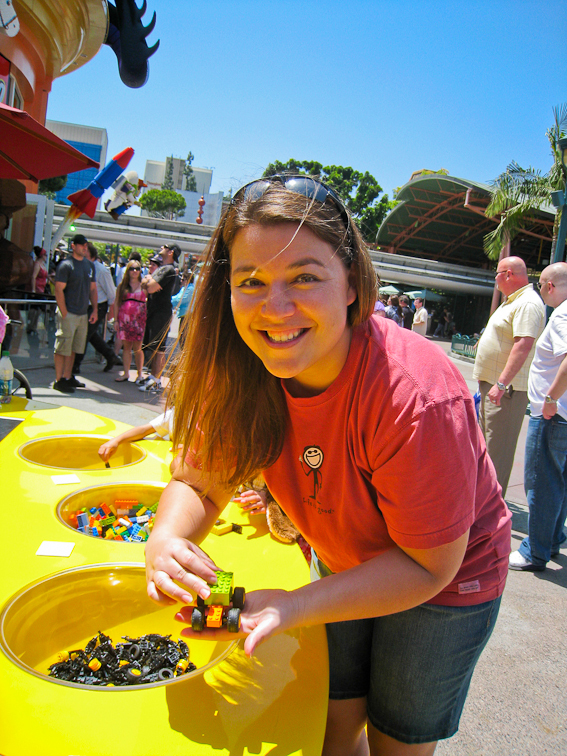 I'm sure I'll have more photos of all the fun Disney Lego creations decorating it in the future. For this trip, I only brought the little point and shoot camera. Now outside the store there is a little play area. You can assemble your own Lego cars. And then race them. Theresa won all three of our races. Guess I need to go back to car design school. 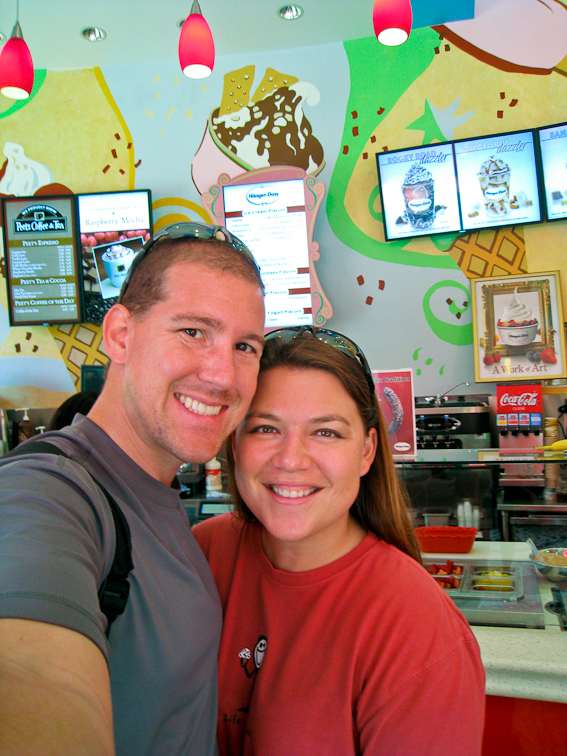 Continuing through Downtown Disney we can across the Haagen Das. 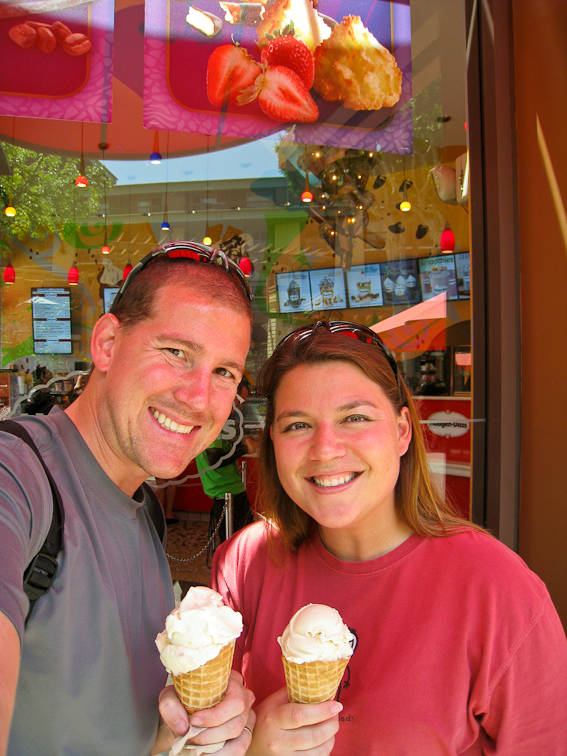 Even better, they had coconut ice cream! 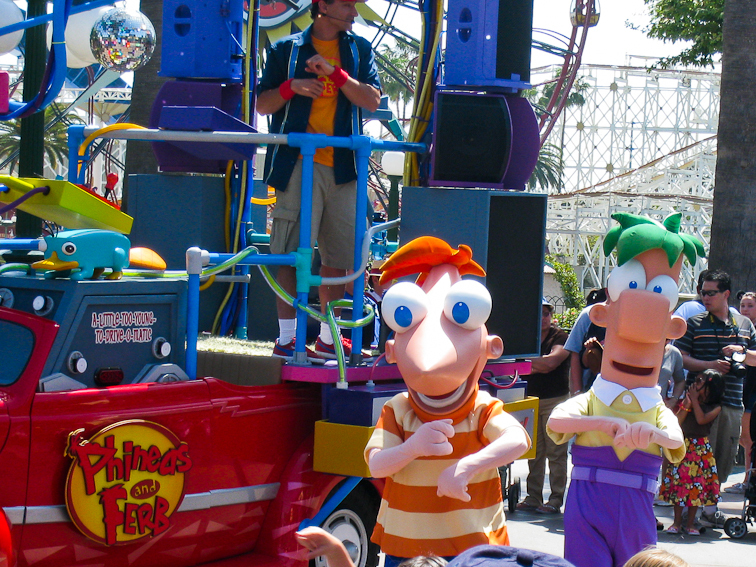 We hung out in California Adventure and we even saw Phineas and Ferb. 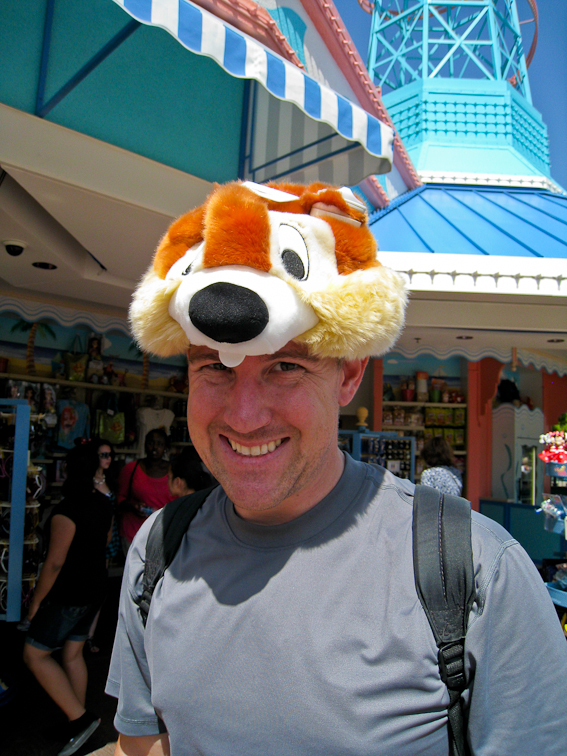 It's about time they came out with Chip hat. They've had a Dale hat for years. And completely by accident we ran into Ruston and Scott. Theresa and I were watching a new singing show outside Soarin Over California. Ruston recognized me and came and stood behind us quietly until the show was over. 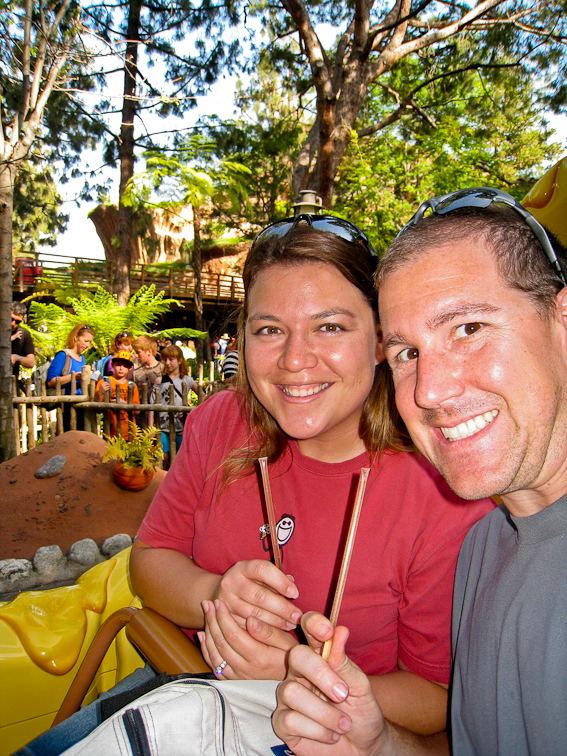 After that, we headed over to Disneyland to go on one of Theresa's favorite rides, Winnie the Pooh. She even brought honey sticks with her so we could enjoy them on the ride. The park was really crowded, so we decided to call it a day early. 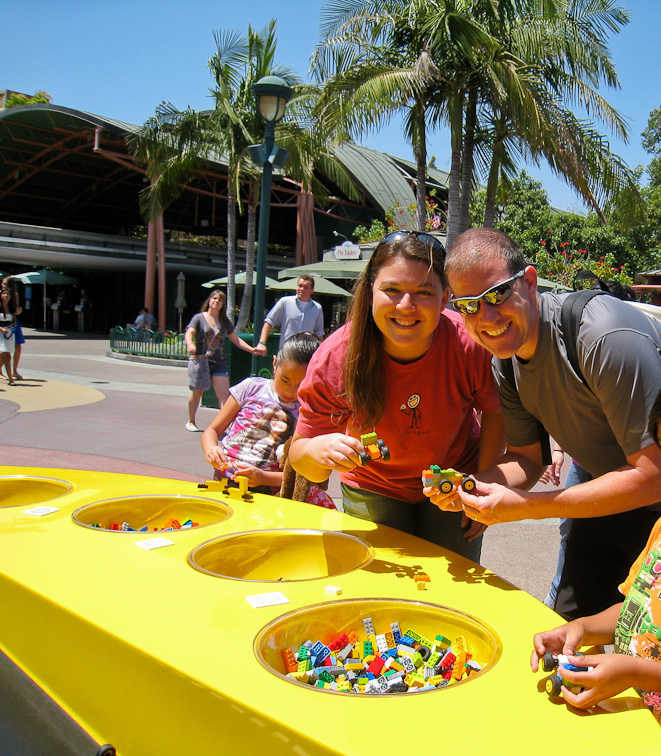 We're almost glad the prices of annual passes went up today. The premium passes with no blackout days went from $499 to $649. Other passes went up similar percentages. Let's hope that means less crowds in the future!